Citrone Roofing - Roofer based in Hove, East Sussex. All Aspects of roofing carried out to a very high standard. Over 20 years' experience in the roofing field. 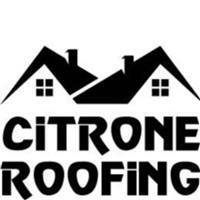 Citrone Roofing has been trading since 2005. Recently in 2016 we have gone to a Ltd company. We are used regularly by local building firms large and small with excellent reputations. We specialise in Slating and tiling of all kinds. We carry out whole roof refurbishments large and small. New dormer work matched into existng roof to look and blend in with detail. All repair work carried out with the same care and detail as any large works. Guarantee on new works to run to 10 years. Brighton and Hove. Peacehaven, Ferring, Goring, Lewis, Shorham, Worthing, East and West Sussex, Surrey.